Film maker Sanjay Leela Bhansali's vision is splendid. We have seen him create magic with his extraordinary craft in some of his previous films, some of which have dealt with historical characters in the recent past. However, the director has left us speechless with the trailer of his next, the much awaited historic saga - Padmaavat. 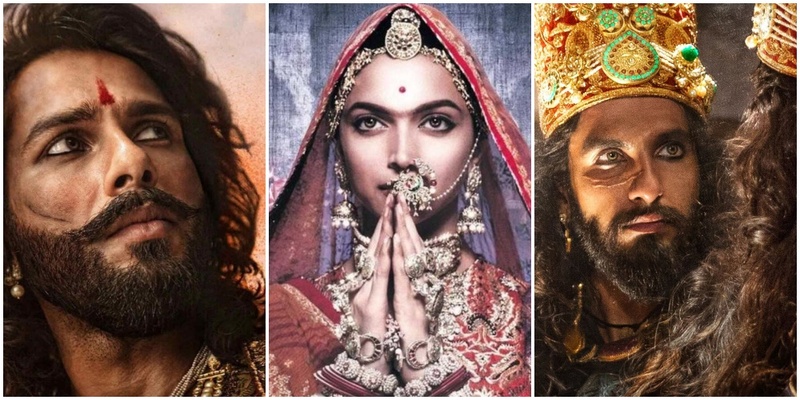 Starring Shahid Kapoor, Deepika Padukone and Ranveer Singh in the lead as MahaRawal Ratan Singh, Rani Padmini and Allauddin Khilji respectively, the film is all set to hit the screens very soon. If the first look left you curious and excited, the trailer is bound to leave you mesmerised. If the flawless, crisp trailer is anything to go by, then be prepared for a storm at the BO. We are mesmerised by Bhansali's world in the film, which looks royal, dark and intense. Every little detail in the trailer looks so well crafted, be it the costumes, set, characterisation, make up, BG score among others. The trailer has only two dialogues, but they pack a punch and how! Kapoor as the fierce and courageous Rajput ruler looks incredible. His presence leaves a strong impact. There is a sense of honesty in his voice and intensity in his eyes. Padukone's title character - Padmavati, looks magnificent. She displays the perfect blend of emotions, sincerity and grace. Of course, the menacing Khilji aka Singh leaves us awestruck. His dark, brooding eyes and ferocious avatar is stuff that nightmares are made of. However, with no dialogue, Khilji leaves you curious. We are definitely waiting to see more of these characters and their impressive performance. Honestly, December seems too far away! We have been waiting to see Kapoor and Padukone together for too long. Finally, the film gives us a chance to witness their chemistry. They look beautiful together as the royal Rajput pair. As for Singh, it's not easy to leave such a strong impression in a trailer that lasts less than 3 mins. Singh's Khilji manages to do that and more, with his spine chilling looks and demonic personality. It's a visual treat to see three of our industry's most versatile actors together in a film. Needless to say, their incredible act and Bhansali's creative genius will certainly spell magic. So far, it looks like the trio will sweep all awards and their performance will be remembered for a long, long time. 2018, this is the film you have been waiting for, since a very long time! Bring it on already. Have you seen the trailer yet? What are your thoughts?